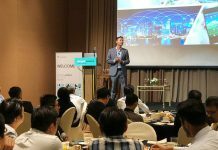 Some of Singapore’s top IT chiefs attended the CIO Asia Academy-Dell EMC Executive Lunch Briefing devoted to examining current implementations of Artificial Intelligence (AI), including Machine Learning (ML), in public and private enterprises, and its proposition for all moving forward. The delegates shared freely their concerns and ideas—making for a highly interactive session from beginning to end. 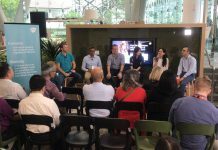 Aware of the complex issues around AI adoption and application in industry and the rest of the world at large, CEO of CIO Academy Asia, P. Ramakrishna, took special pains to frame the discussion. He began with a quote by Klaus Schwab, Founder and Executive Chairman of the World Economic Forum about the Fourth Industrial Revolution (FIR) that the world is going through now. One that “is characterised by a fusion of technologies that is blurring the lines between the physical, digital and biological spheres,” wrote Schwab two years ago. We are already part of it, said Ramakrishna. “We’ve heard a lot about how the digital and the physical worlds are coming together. And we are beginning to hear more and more about their integration with the biological world,” he said. The FIR throws up special challenges for every organisation and leader across all industries and sectors, Ramakrishna noted. “Everything’s about convergence today. Nobody works in silos anymore. There’s a huge convergence across industry verticals and across technologies,” he said. 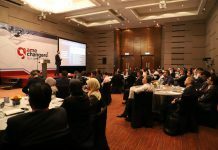 Before handing over the floor to the first keynote speaker of the day–James Kang, Founder and CEO of Amaris.ai, a deep learning AI firm in Singapore – Ramakrishna also said that delegates should steer clear of highly contentious issues, such as those to do with the ethics of AI and its application in the real world, as there was simply not enough time for any discussion encompassing them. James Kang, CEO and Founder of Amaris.ai, began his presentation by giving the audience a retrospective of the early days of AI. “It is about models. The early model was ‘rule’-based. When IBM’s Deep Blue defeated Garry Kasparov [in 1997], it was a rule-based model at play. What they did was program all the ‘rules’ of grandmasters, including Kasparov himself, into the system,” he said. 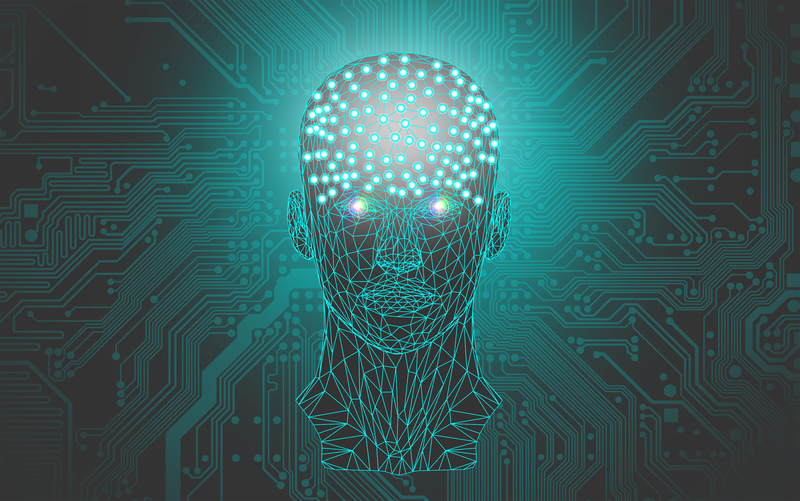 We have gone even further, much further with AI, said Kang, pointing to two even newer technologies concurrently being developed and/or being used. Another is Automated Machine Learning (AML), which automates machine learning tasks, making it possible for AI to develop models by itself. “We have tested some of these and they are very good,” Kang said. The last major development that Kang highlighted was that of Generative Adversarial Networks (GANs), which involves two competing artificial neural networks¬: one generating paths or solutions and the other evaluating them. Kang showed it in application in the creation of a video simulating how a Singapore cityscape would look in the event of a typhoon. It looked authentic. Kang shared what he has learned and affirmed in the 10 months he has spent running his AI company. He urged the audience to not only think different when it comes to AI, but also to think bigger. “A lot of people think AI is about attacking a single problem with a single-faceted kind of solution,” he said. “It’s not. For your AI solution to be world-class, robust and industrial grade you have to have a swarm of bots. We typically look at 10 or 20 bots doing just one thing, with different algorithms.” That delivers exceptionally better and faster results, he said. Kang then went on to talk about use cases, starting with those instances that threaten to render certain jobs redundant, including the cases of chatbots replacing customer service personnel, drones replacing deliverymen, physical robots replacing warehouse staff, and even bots replacing radiologists. ““How good is a radiologist? It would depend on the experience he has, which is related to how many medical images he has seen in his lifetime. So how many would that be for him, 30,000 to 50,000? An AI bot in one day can read a million of these, more than his lifetime many times over. How can you compete with a bot? This is gone, you cannot beat the bot,” he said. Does that mean that the future of jobs is all doom and gloom due to AI? “In every revolution, where jobsare replaced, there are new ones created,” said Kang. What that means is we need to think out of the box and reallocate human resources in adjustment. The second keynote by Christoph Theisinger, VP, SE, AP & Japan at Dell EMC, served to remind the audience that the lifeblood of every organisation is data, and stressed the importance of having the ideal platform of management and storage for the vast amounts of data gathered and generated by their systems for AI to be effective. Theisinger talked about some of the successful AI deployment among his customers. There is Mastercard, which handles 160 million transactions an hour to which 1.9 million rules be applied to protect against fraud. One particularly fascinating case is that of the Commonwealth Scientific and Industrial Research Organisation, an Australian federal government agency, which is developing a bionic eye using AI. And yet another success story is that of AeroFarms, which operates four indoor vertical farms in Newark, NJ, USA. 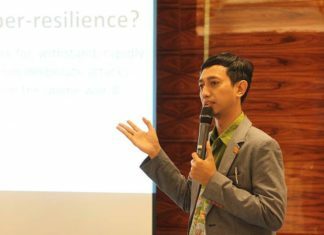 “They started using AI to monitor the health of every plant they grow, and made productivity gains of up to 390 times of previous levels as well as reduced their use of water by 95 percent,” he said. 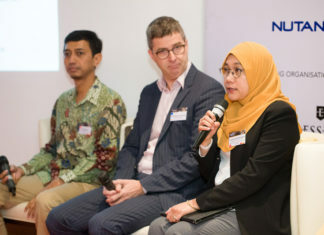 The program wound down with the panelists and delegates exploring issues such as security, barriers to AI adoption and various factors that can take AI to mainstream success.